Volunteering is part and parcel of my life and my volunteering journey started even before I retired. Thus, even when I decided to take up an early retirement from a hectic work-life in a travel agency at the age of 46, I wanted to keep myself occupied and active. 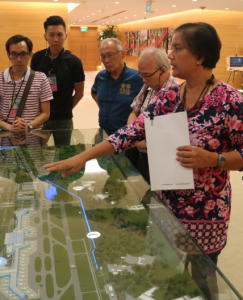 I had been actively volunteering in organisations such as Mendaki, Malay Heritage Centre, and National Library Board even before volunteering with RSVP Singapore. I first got to know about RSVP Singapore by chance in 2014 when Mr Morni Sulaiman, a member of RSVP, approached me when I was volunteering at the Malay Heritage Centre as a docent. 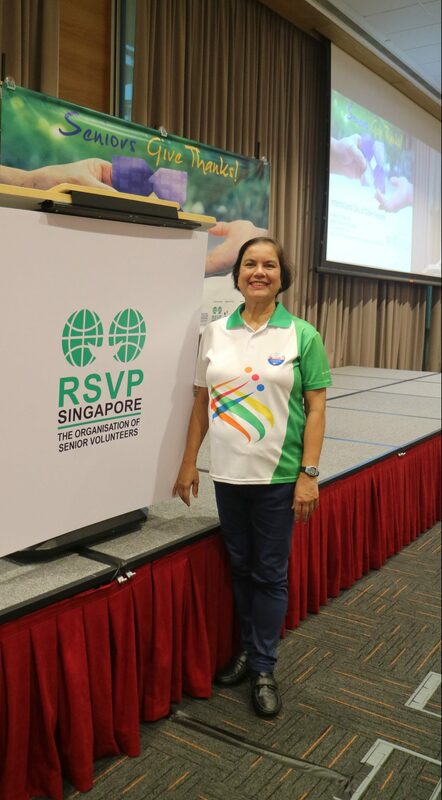 I was introduced to RSVP Singapore and ever since then, I have been an active volunteer with the organisation. 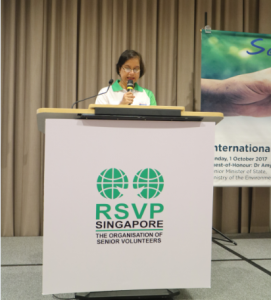 One of the programmes I currently volunteer in is RSVP’s Cyberguide programme, which aims to promote IT skills among seniors and help their transition into the digital age. Whenever I teach IT classes like Facebook or Basic Computer, a few of the senior participants do not even dare to handle the mouse in fear of doing something wrong! However, as a senior myself, I can understand them better and hence I am more patient when training them. With constant reassurance, the seniors eventually gain the confidence to handle the computer on their own. Besides the Cyberguide programme, I also help out in RSVP’s Volunteer Learning Centre by facilitating the modules. I have also helped to update the Trainer’s/Learner’s Guide and PowerPoint slides for some of the modules. I also participated in a few ad-hoc events such as the National Senior Volunteer Month and the President’s Star Charity 2017 as a volunteer. Additionally, I have emceed for RSVP events such as our Open Houses and International Day of Older Persons, as I enjoy public speaking. My advice to seniors who are still undecided whether to volunteer or not is to try it first before deciding, rather than shutting yourself off from it completely. In the next 10 years, I see myself being even more committed to volunteering. As I am still doing freelance work right now, I can’t commit as much but when I stop working, I will volunteer even more.